This year’s winners will be announced at the Gala Awards Dinner on Saturday, November 10, 2018. Claire Aguilar is Director of Programming and Policy at IDA (International Documentary Association. She oversees IDA’s professional development, education, mentorship and training and sets strategy around IDA’s policy and advocacy work supporting filmmakers. Aguilar serves as the primary programmer for IDA’s biennial Getting Realconference. She is the former Director of Programming and Industry Engagement at Sheffield Doc/Fest. At the Independent Television Service (ITVS), she served as Vice President of Programming and Executive Content Advisor. She co-curated the Emmy and Peabody awarded series Independent Lens, PBS’s prominent showcase of independently produced films. A second-generation Filipina American, she has a BA in Communications Studies and MA in Film and Television Studies from UCLA. She serves on the Boards of Women Make Movies, Firelight Media, The Why, and EDN (European Documentary Network). Snehal Desai is the Producing Artistic Director of East West Players, the nation’s largest Asian-American theater company and one of the longest running theaters of color in the country. He has directed plays at venues from The Old Globe in San Diego to Boom Arts in Oregon to the Old Vic in London, and worked at more than a dozen theaters in New York City. 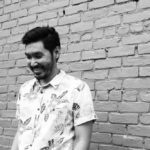 Desai is also a member of the Asian Pacific American Media Coalition and serves on the board of the Consortium of Asian American Theaters and Artists and Los Feliz Charter School for the Arts. Desai has served as Resident Director of Theater Emory; participated in the Lincoln Center Directors Lab; and was a literary fellow with London’s Royal Shakespeare Company. Snehal is a Soros Fellow and recipient of a Tanne Award. Snehal is on the faculty of USC’s graduate program in Arts Leadership. 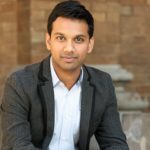 Snehal is a graduate of Emory University and received his M.F.A. in Directing from the Yale School of Drama. 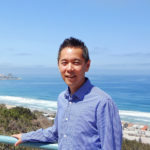 Daisuke Miyao is Professor and the Hajime Mori Chair in Japanese Language and Literature at the University of California, San Diego. Miyao is the author of Cinema Is a Cat: A Cat Lover’s Introduction to Cinema Studies (Forthcoming in 2019), The Aesthetics of Shadow: Lighting and Japanese Cinema (2013), Eiga wa neko dearu: Hajimete no cinema sutadizu [Cinema Is a Cat: Introduction to Cinema Studies] (2011), and Sessue Hayakawa: Silent Cinema and Transnational Stardom (2007). He is also the editor of Oxford Handbook of Japanese Cinema (2014) and the co-editor of Transnational Cinematography Studies (2017) with Lindsay Coleman and Roberto Schaefer. Miyao is currently completing a book titled Japonisme and the Birth of Cinema. 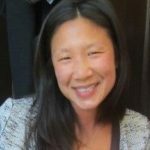 Julie Whang has over 15 years experience in independent film distribution, exhibition, promotion and operations. Currently she is the Director of Non-Theatrical Sales at Tugg, the leading crowdsourcing web platform for theatrical screenings. Her previous position was the Director of Distribution and Sales at Women Make Movies, the largest distributor of films by and about women. Her accomplishments include working successfully in all facets of distribution from acquiring films, marketing, sales, contract negotiations and fulfillment. 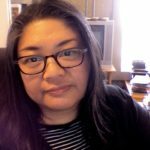 Julie has served on the documentary jury for the Austin Asian American Film Festival, and has been a panelist at SXSW and Oregon Doc Camp. Julie is also a board member for the National Media Market, the leading conference for media buyers and distributors. Julie has an MS in Nonprofit Management from the Milano School of International Affairs, Management and Urban Policy at the New School and BA in Visual Arts Media from the University of California, San Diego. The winner will be announced on closing night, Nov. 17. For the second year, the San Diego Asian Film Festival is hosting a competition for international short films. This competition highlights some of the most innovative work produced in Asia and encompasses narrative, experimental, and documentary forms. This year’s nominees can be found here. Victoria Fu is a visual artist who makes moving image art installations. She is a recent Harpo Foundation Grant Recipient and Guggenheim Fellow. 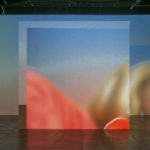 Her work has been exhibited and screened in venues such as the Whitney Biennial, Museum of Contemporary Art San Diego, New York Film Festival, Museum of Contemporary Art Los Angeles, MCA Chicago, and is included in the collections of the Whitney Museum of American Art, Pérez Art Museum Miami, Los Angeles County Museum of Art, and MIT List Visual Arts Center. Fu is Associate Professor of Visual Arts and Co-Director of Film Studies at University of San Diego. 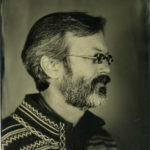 Markus Nornes is Professor of Asian cinema at the University of Michigan, where he specializes in Japanese film, documentary and translation theory. He has done extensive programming on the international film festival circuit, especially at the Yamagata International Documentary Film Festival. He has written books on Japanese documentary, City of Sadness, film translation, and a critical biography of director Ogawa Shinsuke. His current book is on the intimate relationship of calligraphy and East Asian cinema. His documentary films include The Big House (co-directed with Soda Kazuhiro et al), 911, and a 5-screen video installation entitled Player Played.